Usman was born in Auchi, Nigeria. His father was in the Nigerian Army. Usman and his family immigrated to the United States when he was 8 years old. He started wrestling in his sophomore year in high school, at Bowie High School in Arlington, Texas. After compiling a 53–3 record in high school wrestling, Usman wrestled alongside Jon Jones at the senior national tournament before leaving for college. After high school, Usman wrestled at William Penn University for one year, where he was an NAIA national qualifier. He then transferred to the University of Nebraska at Kearney. Usman earned NCAA Division II All-American honors all three years he attended UNK and helped the school win its first-ever overall team title in 2008. In his senior season, he won the NCAA Division II national title at 174 lbs in 2010. Additionally, he was also a member of the University World Team for freestyle wrestling in 2010. He was known in wrestling circles as Marty. Usman has a brother, Mohammed, who is also a mixed martial artist. Former National Football League star Christian Okoye, who has the nickname “The Nigerian Nightmare” trademarked, gave his blessing for Usman to use it. Usman made his professional MMA debut in November 2012. He compiled a record of 5–1, competing for several regional promotions before trying out for The Ultimate Fighter in early 2015. 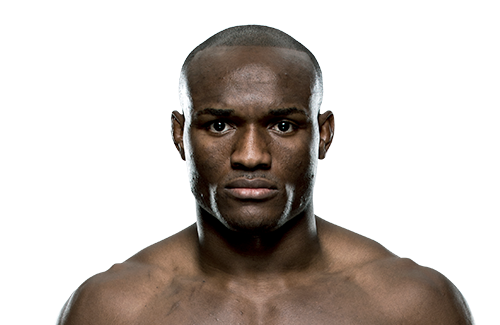 In February 2015, it was announced that Usman was one of the fighters selected to be on The Ultimate Fighter 21. In his first fight on the show, Usman faced Michael Graves. He won the fight via majority decision. In the semifinals, Usman faced off against former WSOF Welterweight Champion Steve Carl. He won the fight via unanimous decision and advanced to the finals. In the finals, Usman faced Hayder Hassan on July 12, 2015, at The Ultimate Fighter 21 Finale. 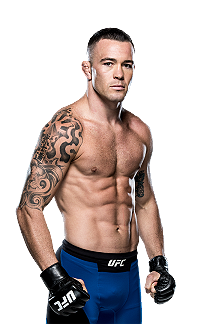 He won the bout via submission in the second round, thus winning a six-figure contract with the UFC. He was also awarded a Performance of the Night bonus. Usman faced Leon Edwards on December 19, 2015, at UFC on Fox 17. He won the fight by unanimous decision. Usman was expected to face Sérgio Moraes on May 14, 2016, at UFC 198. However, Usman was replaced on the card for undisclosed reasons by promotional newcomer Luan Chagas. Usman next faced Alexander Yakovlev on July 23, 2016, at UFC on Fox 20. He won the one-sided fight via unanimous decision. Usman faced Warlley Alves on November 19, 2016, at UFC Fight Night 100. He won the fight via unanimous decision. 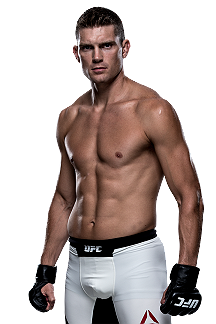 Usman faced Sean Strickland on April 8, 2017, at UFC 210. He won the fight via unanimous decision. A rescheduled bout with Sérgio Moraes eventually took place on September 16, 2017, at UFC Fight Night 116. Usman won the fight via knockout in the first round. Usman was scheduled to face Emil Weber Meek on December 30, 2017, at UFC 219, but the fight was rescheduled for UFC Fight Night 124. He won the fight by unanimous decision. Usman was expected to face Santiago Ponzinibbio on May 19, 2018, at UFC Fight Night 129. 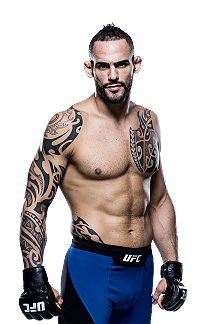 However, on April 21, Ponzinibbio was pulled from the card due to injury and replaced by Demian Maia. Usman won the fight via unanimous decision. Usman faced Rafael dos Anjos on November 30, 2018, at The Ultimate Fighter 28 Finale. He won the fight via unanimous decision. This win earned him the Performance of the Night award. 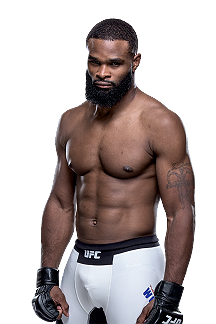 Riding a nine-fight unbeaten streak in the UFC, Usman next faced UFC Welterweight Champion Tyron Woodley on March 2, 2019, in the co-main event at UFC 235.He won the fight via a dominant unanimous decision to become the new UFC Welterweight Champion.